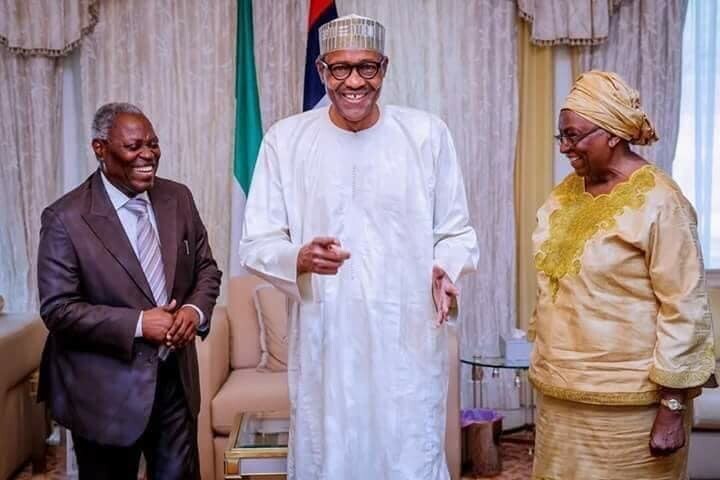 On October 1st,2018 the senior pastor of the Deeper Life Bible Church, Pastor William Kumuyi and his wife, Esther, paid President Buhari a visit at the state house Abuja. The former Aviation Minister, Femi Fani-Kayode, shared a post via Facebook this afternoon. In the post,he expressed his displeasure at Pastor Kumuyi for visiting the President. According to him,he said "I also feel a deep sense of shame and outrage about this outing"
My paternal great grandfather (my grandfather's father), Rev. Emmanuel Adelabi Kayode, was an Anglican priest. He was educated by the Christian missionaries and the Anglican Church and he studied theology at Fourah Bay College in Freetown, Sierra Leonne which was at that time a satellite campus of the United Kingdom's Universty of Durham. In 1892 he graduated with honors with a Master of Arts degree in theology. into retirement in the old Lagos colony. honors in 1892 from Fourah Bay College in Freetown, Sierra Leonne. been slaughtered than any other in the history of our country. encouraging them to continously torment, afflict and terrorise our people. Dr. Paul Eneche, Prophet T.B. Joshua, CAN President Rev. Samson Ayokunle, Pastor Paul Adefarasin. Bishop El Buba, Bishop Matthew Hassan Kukah, Apostle Samson Suleiman, Apostle Chibuzor Chinyere, Pastor Rhoda Awiliki and so many others.